Reminder: The Shreveport Writer’s Club Critique Group meeting will be Saturday, November 17th at Retro 521 Cafe, 521 Barksdale Blvd in Bossier City. Bring something to share or just come to offer advice and encouragement to those who bring their work. Guests and visitors are encouraged to attend. Come see what a supportive, serious group of writers can add to writing life. The vice-president of the Shreveport Writers Club is hosting a Nanowrimo write-in at Retro 521 Coffee, Cafe & Venue starting today. This will occur every Wednesday from 5-7pm. Come out to be inspired and encourage each other. A reminder that the Shreveport Writers Club location is at Retro 521 today in Bossier City. The Shreveport Writers Club held their regular monthly meeting on October 6th, 2018 at the Shreve Memorial Library Broadmoor Branch. President, Tiffany Pennywell welcomed visitors and members. First on the agenda was the presentation of the Making the Mark Awards, given each month to members who have “taken the plunge” and submitted work for publication. After sharing their writing on the topics, the group heard from Vice-President Deondre Holmes. Deondre gave an update on the much-anticipated Shreveport Writers Club Anthology which will soon be available to order or to download from Amazon.com. Deondre also announced the October Writing Contest. Ghouls, Goblins and Ghosts! Oh, my! There is no fee to enter. There is no word limit on entries. Entries should be the original work of the author. All publishing rights remain with the author. Entries will be judged blind. Each entry should have a cover page stating the author’s name, contact information, the title of the work and which theme their work references. The cover page will be removed from each entry before judging. No other identifying information should be included on the rest of the submission. You may enter as many times as you like and may submit work on any or each topic, but each submission should be emailed separately. Deadline for submissions is October 20th, 2018. Each submission and cover letter should be attached as a word document or an rtf file. If the work is short (under 1,000 words) you may also paste the submission in the body of the email, below your “cover sheet” information. 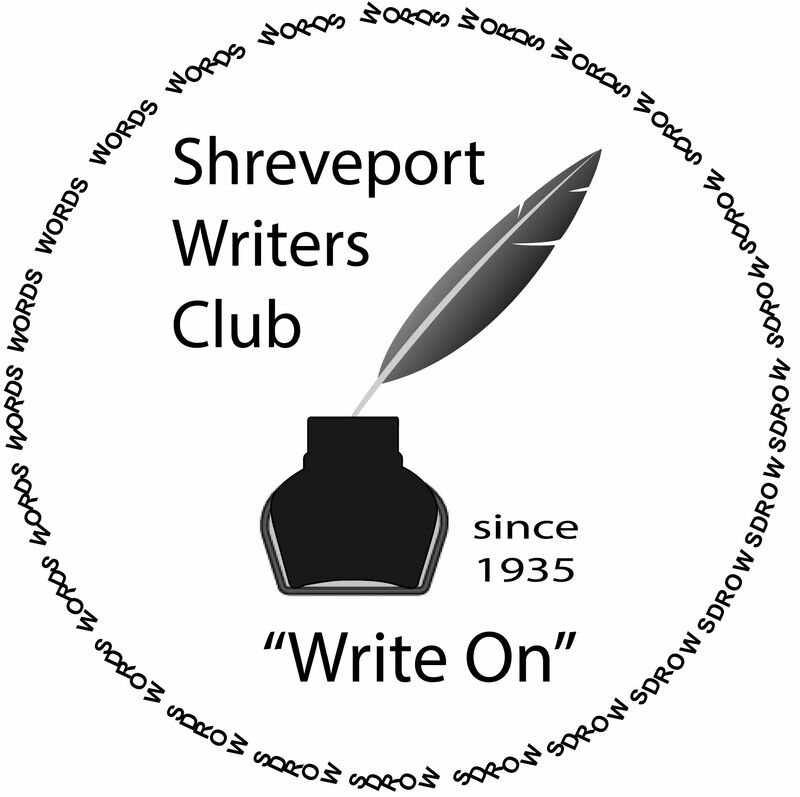 If you are interested in becoming a member of Shreveport Writers Club, a PayPal option to pay your yearly membership fee is available. Click the PayPal button to the right to get started. The writers then went on to play the game “Guilty Pleasures” where each person was asked to write down their favorite author or genre on a piece of paper. Players placed their paper slips together and Tiffany pulled them one by one. Members then tried to guess which person had written which “guilty pleasure” slip. Once the player was identified, each person talked about why that particular genre or writer was his or her favorite. The Round Robin portion of the meeting followed. With writers sharing some of their most recent work and works-in progress. Reminder: Critique Group will be held at the Shreve Memorial Library-Broadmoor Branch on Saturday, October 20, 2018.